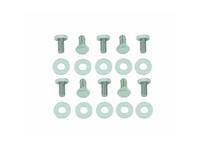 Northern Auto Parts has the bolt kits, studs, and fasteners that you need. ARP, MR Gasket, and more are in stock and ready to ship. If you are looking for diesel head studs, we have those as well. Do not forget to see our Diesel Head Stud Kits which include the gaskets and head studs you need.